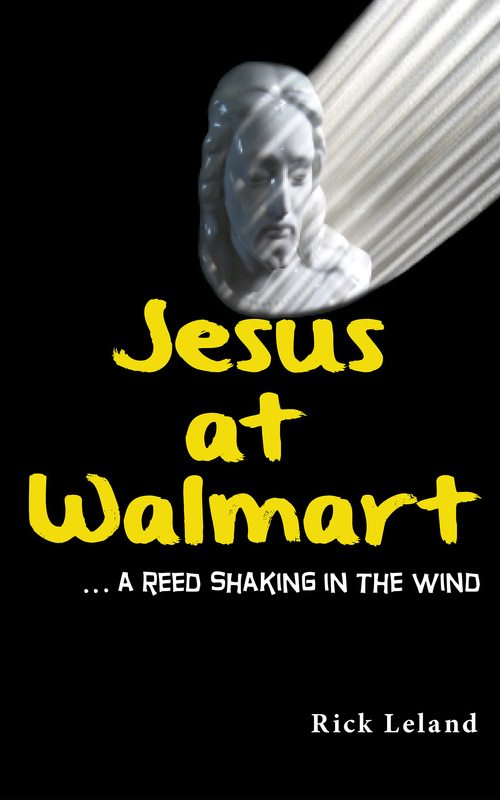 In this fully stocked 246-page novel two beloved favorites come together—Jesus and Walmart. Fueled by Pastor Malachi Marble’s fall from faith, which tumbles him into the late night world of Walmart. Author Rick Leland spent fourteen months working as a Walmart Overnight Stocker doing research for the book. Well, not purely for research. Walk past the greeter; into the heart of Walmart with Malachi Marble. Grab a shopping cart. You’ll need something to hang onto during this trip to Walmart like no other. In book two of the Jesus at Walmart Trilogy, Malachi Marble is still working at Walmart. The former pastor, toils through the night while attempting to keep the desire of his heart alive—his passion to serve God and his coworkers at the store. 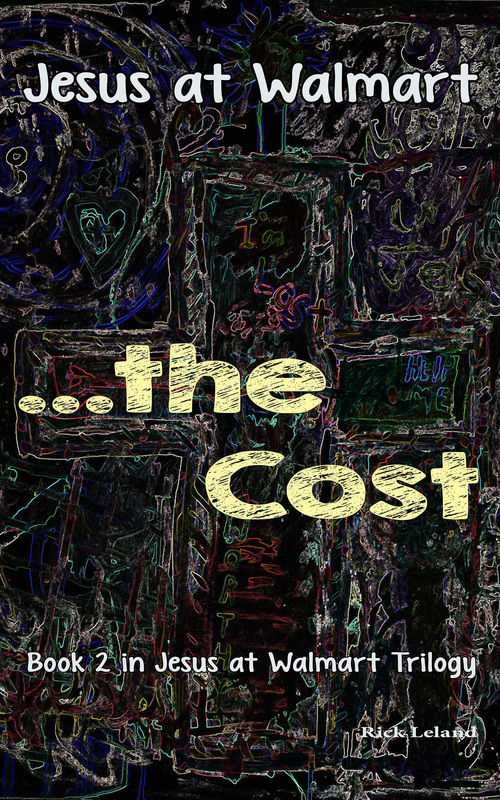 Join Malachi as his life, his faith, and his yearnings become exposed to vulnerability’s limit. Again walk past the greeter, into the heart and soul of Walmart with Malachi. And find yourself in a story that can change your life. The ever-endearing Malachi Marble continues his journey of faith, blended with his characteristic moments of faltering. His uncertainty. His overly analytical mind. The emotionally propelled story tugs at the heart. And at the same time, laughter rousing scenes abound. 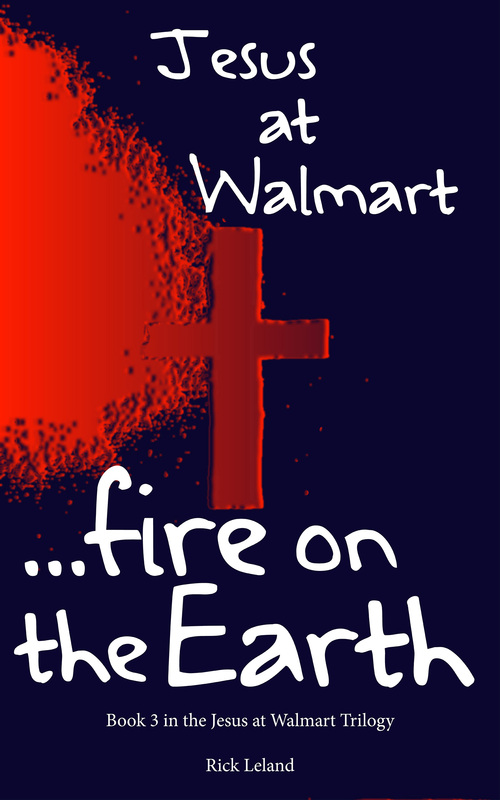 Throughout its pages, Jesus at Walmart…fire on the Earth, serves up a unique sampling of insightfulness. Malachi Marble style—with God’s amazing grace. The story’s intriguing cast of characters, breathe life into this page-turning adventure full of plot twists and surprises. I love the Jesus at Walmart books… a great read and refreshing for my life. An awesome book! Go God! Thank you...I have been touched and moved through your writing. This book is great, and inspires a desire to reach out. For anyone looking for encouragement, this is it. I was so pulled into the book that I could not put it down. We all go thru our trials and this put it out so well. Really inspiring. I would definitely read more of Rick Leland's books. I loved this book! I couldn't put it down. I had a blast reading them. A couple crazy surprises already popping up in Book 2. The Bible verses and songs in the book are so appropriate for the message! Would highly recommend these books! Couldn't put it down. Cannot wait to read the next one. This book is so inspirational and a definite read. I would recommend it to ANYONE. This is an awesome book! Rick Leland is a great writer and this story is a good example of how we as Christians ought to see every situation. I really loved this book. I really love how we need Jesus at our workplace and not just at church. I have been angry with God for some time. This novel was God's way of bringing me back to Him. A really inspirational story and shows how God can bless you when life-difficulties face you. This is real life stuff. Thank you for the blessing it was to me. Refreshing, real, and raw describe author Rick Leland's first work. I found the book amazing; ordinary people with all the same problems we have today. It' a must read. Heartwarming and uplifting. God clearly used this book to speak to me. I highly recommend this one. Darling story. You’ll never feel the same when you shop at Walmart. I love, love, loved these books. Rick, thank you for these Jesus at Walmart books. I just finished the third one and I am in tears. I loved each of them. "I finished An Amish Awakening...wow, what a story; it really left an impression on my heart..."
In the book An Amish Awakening, the recounting of Mark Paul Troyer's going to Heaven experience is the centerpiece of this captivating true story. Yet his life prior to this event is correspondingly as fascinating. Including his first-person insights into growing up Amish, facing family tragedy, and his inner turmoil regarding the meaning of being Amish. Along with his time of rebellion. While the aftermath of his journey to Heaven courses unpredictably amid victory and lament. With plot twists, unequalled even in works of fiction. Churches filled up. Crowds gathered when they found out Mark would be speaking at an Amish person’s barn, a simple workshop, or at a widow’s home. And countless people dropped by his home unannounced. They wanted to hear his story. This is the true story of Mark Paul Troyer. Yes, it’s the story everyone wanted to hear. 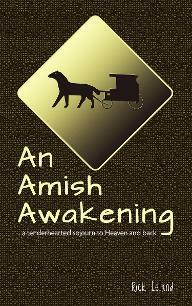 And the book: An Amish Awakening, is Mark’s life—his remarkable life-story. An Amish story like no other. A story like no other! "The book is so riveting for its story and intense spiritual content!" "Fascinating and engaging. I truly enjoyed learning about the Amish culture while being inspired by the work of Jesus in one life amongst us." "It is an amazing story and well written." "Not your typical Amish book." "A wonderful story about inner struggle, Spiritual growth, love for others and the true blessing of knowing the Lord." "Having read a lot of Amish fiction, I really looked forward to reading a true story and was not disappointed. His conversion and visit to heaven were miraculous." "But mostly I love the parts of the book where Mark really starts to look to Jesus and the Bible for all his answers, to the point that he was told: maybe you read the Bible too much. And that’s where this book can become somewhat of a devotional reading." "Reading this book makes me want to have Mark and Frieda over for dinner!"